Want to help preserve our Bayou? 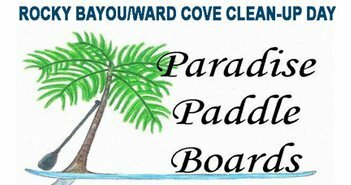 Paradise Paddle Boards will be sponsoring a Clean-Up Day on March 22, 2014, from 10 a.m. –until, at Bluewater Bay Marina. Participants will be collecting trash from the shores and waters in preparation for a wonderful season on the water. Paradise Paddle Boards will have paddle boards available to use in helping to clean-up. Come out with your canoe, kayak or jon boat and join in. Other handy items will be buckets, garbage grabbers, water shoes, and gloves. 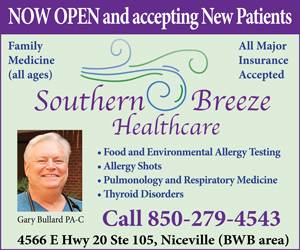 Participants should meet on the beach at LJ Schooners Dockside Restaurant and Oyster Bar at 10 a.m. For more information, call Theresa Williams Hudson (850) 685-0651, or Jimmie Boisjolie (850) 699-0045.